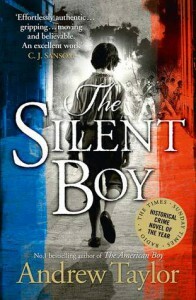 Another thoroughly enjoyable novel by this author this time set during the French Revolution. An intelligent twisting plot about a boy who believes his silence is the only thing that will save his life in dangerous times. The characters are beautifully drawn, the sense of time and place exemplary. The book is gripping, immersive and demands your attention, though it's not a page turner as such.